First Australians chronicles the birth of contemporary Australia as never told before, from the perspective of its first people. 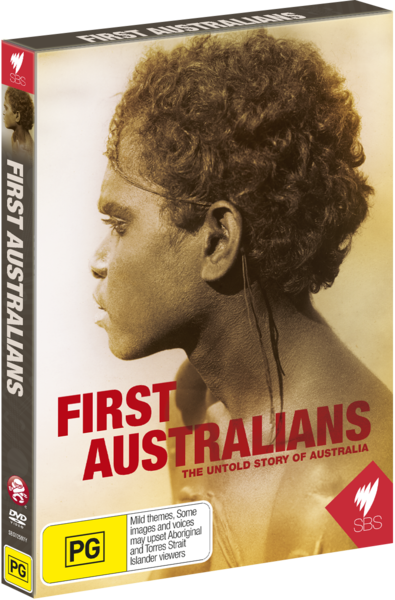 First Australians explores what unfolds when the oldest living culture in the world is overrun by the world’s greatest empire. Over seven documentaries, First Australians depicts the true stories of individuals - both black and white - caught in an epic drama of friendship, revenge, loss and victory in Australia’s most transformative period of history. We begin in 1788 in Sydney, with the friendship between an Englishmen (Governor Phillip) and a warrior (Bennelong) and end our tale in 1993 with Koiki Mabo’s legal challenge to the foundation of Australia. First Australians chronicles the collision of two worlds and the genesis of a new nation.